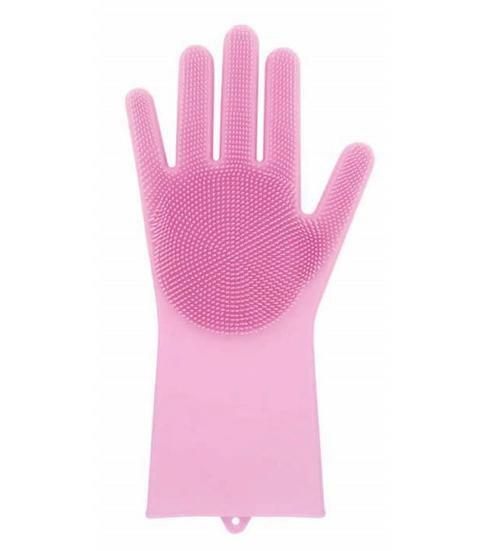 Turn your hands into powerful cleaning machines, we've made the scrub brush in the shape of your hand. Made of 100% BPA-free food-grade silicone. While the 2000+ quills on the glove produce lots o' lather and clean exceedingly fast, they are soft--not stiff and hard for scraping dried on food. You'll still want to soak those dishes. Then the gloves make it come off extra fast. The 'green' is a green-blue and may even be more blue than green. Please allow for some difference in color shade. Silicone is a clear synthetic product that has undergone testing to ensure its safety, and it is generally more durable than latex. Silicone products retain their shape better than those composed of latex. Silicone has a higher heat resistance than latex.